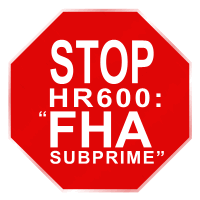 ALERT - See our campaign against "FHA Subprime" and help us organize support. Writers! Do you stay up-to-date on all things FHA? Want to publish your thoughts and findings to thousands of daily readers? If so, please contact us! FHA’s First Time Homebuyer Credit – Good, Bad, or Ugly? Finally 60 Minutes Shows It – But, it’s not news… and it’s late. The FHA Emporium is not affiliated with the Federal Housing Administration (FHA).